, the former IPG Mediabrands global business development and product innovation director, is exiting the media group, AdNews understands. Sintras, who was previously chairman of Starcom MediaVest in Australia and New Zealand, took up the post in August 2015 and relocated to New York under former Mediabrands global CEO Henry Tajer. Sintras’ exit comes shortly after Tajer’s own shock exit from the business. Tajer, who was promoted to the global post after running Mediabrands Australia and New Zealand for seven years, hired Sintras along with a number of senior Australian execs including Mat Baxter, now global CEO of Initiative and former UM CEO in Australia, Dianne Richardson, former managing partner of Starcom Mediavest Group Australia; Mnet's Travis Johnson; Cadreon's Marc Lomas; and media auditor Charles Godbold. When Tajer’s exit was announced, an internal memo sent to all Mediabrands staff described it as “transitioning out of his job” to return to Sydney with his family. Sintras and Tajer are two of the most highly regarded media execs in Australia, both are part of the MFA Hall of Fame. AdNews understands that Tajer’s tenure as global boss, during which he hired a number of senior execs from Australia to take on global, regional and New York-based roles, caused some animosity from senior execs based in New York. 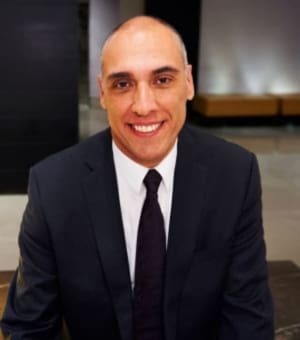 John Sintras, the former IPG Mediabrands global business development and product innovation director, is exiting the media group, AdNews understands.